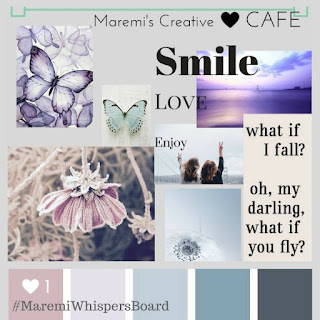 So, like I wrote in the previous post the 52 Cafe cards challenge has changed from using the alphabets into using the mood boards and those are called the whispers boards. 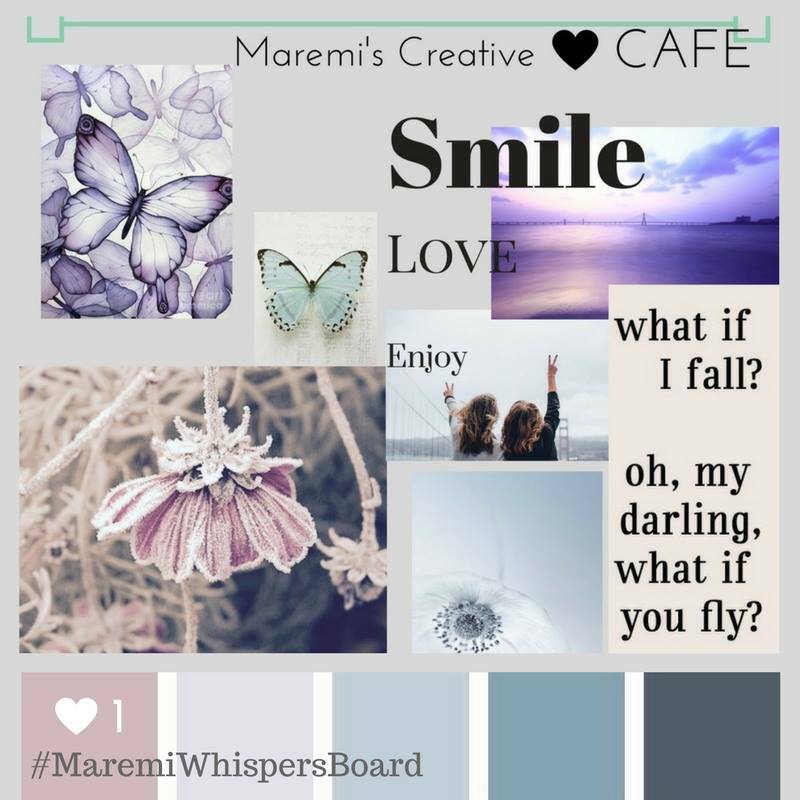 The hashtag for them is #MaremiWhispersBoard or some may use #MaremiWhisperBoard. Each Whispers board contain different inspirational images, quotes and color themes. It's not mandatory to use all the given elements. You are allowed to pick which ever element you desire and go from there. It doesn't even need to be an ATC-sized card, any project will do. But since the challenge is called "The 52 Cafe Cards challenge" I decided to stick with the cards. I even had a few preparated cards left so it was easy to continue from there. There are already 9 Whispers boards out there. So far I have finished 4 boards and started the next 3. The rest are still waiting for an inspiration. In fact, I don't know what the boards look like. I've been busy and not been able to check on the Creative cafe group. Below you can see the ones I have made so far. If you remember my hassle with the Vintage card, you might notice that this card has now the decayed background which was originally meant to go to the Vintage card. That is why the card doesn't follow the assignment as you can see from the image below. But I don't mind, I can always make a new one if it starts to bother.